The same Australian who blew the whistle on Facebook tracking logged out users last week discovered yesterday that although Facebook had “fixed” the problem, the tracking cookie has been re-enabled. According to Nic Cubrilovic, it was active on every third-party site he tested. Contrary to their position that they only track user data to keep users safe and prevent abuse, Facebook’s lengthy new patent document shows they’ve been laying the groundwork for extensive and sometimes surreptitious user tracking since February 2011. Facebook has spoken out to deny the allegation that the data gathered is used to target advertisements, but had removed the cookie in question last week, anyway. So why is it back and active on third-party websites? As we reported last week, lawmakers are pushing for an FTC investigation into Facebook’s privacy and data collection practices. Europe has been a bit ahead of the game and yesterday, we showed you some of the contents of a user data file, obtained by the group Europe v. Facebook under European privacy law. The files contained GPS coordinates, IP address logins, and even messages users had deleted. Despite Facebook’s denial that the data is used to target consumers with advertisements, the user data they’re collecting and the patent awarded them September 22 tell a very different story. Bill Slawski first raised questions about the purpose of the patent September 27. Specifically, the way some sections are worded makes it seem as though Facebook could collect data from logged out users, an allegation Facebook vehemently denies. This does just sound like the framework for the new Open Graph and “frictionless sharing” apps. We knew after the f8 developer conference that Facebook intended to track our activity across partner sites if we opted in to the new breed of social apps. So what’s the problem? Well, considering we’ve just learned Facebook keeps a file several hundreds of pages long, with sensitive information users don’t even realize is being collected, certain sections of the patent start to make a lot more sense for tracking to target advertisements, which Facebook denies. It doesn’t make much sense as a method of preventing account hacking, anymore. The patent refers numerous times to “action log 160,” a collection of user data collected not only through their actions and posts on Facebook, but from “action terminals” and third-party websites. The real meat in the patent is in the descriptions, and in the context of the patent as a whole. The entire document pertains to the process of collecting information and activity for the purpose of targeted advertising. But wait, Facebook has no interest in your activity in that way. This is all for your own good, all of this sneaky tracking and compilation of data you thought had been deleted. Right? So, pretty much anything, really. How can Facebook still tell us it isn’t using tracking for advertising purposes? At this point, the cat is out of the bag… in fact, the cat tore the bag to shreds, fingerpainted it, and Mark Zuckerberg is wearing it this year for Halloween. What’s with the charade? Current functionality, however, demonstrates that Facebook is already keeping far more information than users realize, as evidenced by the user files obtained by Europe v. Facebook. Ads are going to be integrated into the newsfeed; this theme appears several times throughout the document, but  describes it well. Much of this does make sense for users who have opted in to apps in the Open Graph ecosystem. However, it is clear that this new patent doesn’t apply only to those people when they’re planning on using nested iframes to circumvent user security settings and exchange data between Facebook and third-party sites just to determine if the person is even a user. Also, there is a huge difference between opting in to having these activities published in the newsfeed and understanding that whether it is published or not, it’s being tracked, collected, and shared behind closed doors. 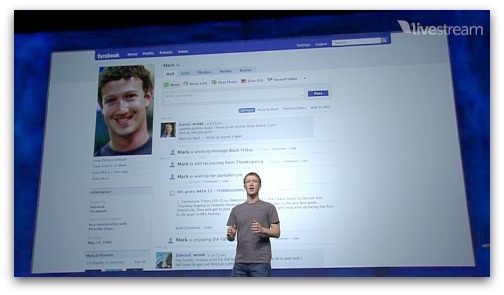 Users don’t understand what is being collected, how long it is kept, or how Facebook disposes of the data, if at all. In fact, the entire purpose of this data file, according to Facebook’s patent, is to gather and store all of this information and to use it for targeted advertising. Facebook continues to deny this, though the words “ad,” “advertisement,” or some variation thereof appear more than 500 times in the patent document. Facebook’s patent is over 18,000 words of advertising legalese that may leave your head spinning. But don’t worry, they’re not interested in your information. They said so.